On my last morning of the festival I went with MG to get some coutelli Water Pipit sound recordings. We ended up chasing some ghosts of birds that never materialized into anything - a tzicking bunting, a Demoiselle Crane and a Oriental Pratincole. 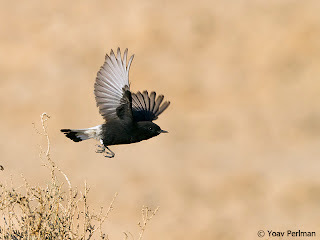 The bunting got away from Dan without identification, the crane flew over the Arava without being tracked down by us, and the pratincole was seen or not during the day in some sites. But it was a nice morning after all. After saying goodbye to everyone I headed back home. In general it was a fantastic festival. I don't have the species total yet but guess it will be around 240 species. 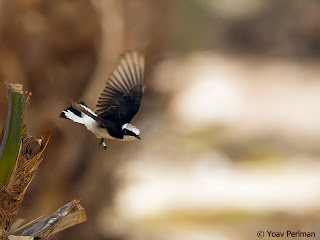 Lots of good stuff, huge numbers of common and scarce migrants, and great company. The groups I led were always great fun, the evening programs were a success, and all the clients I talked to were extremely satisfied by this week. 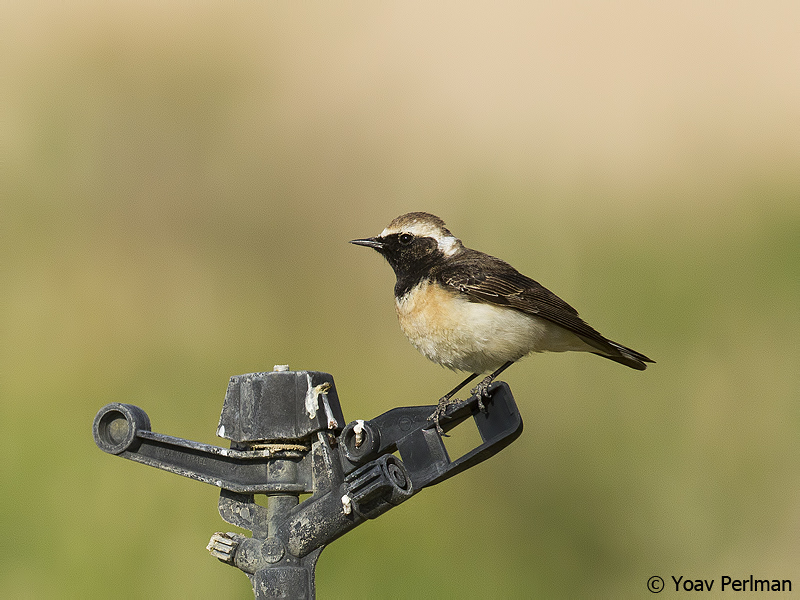 The main stars of the week were wheatears. They were just all over the place. I will never look at a dark-mantled wheatear like I looked at it in the past anymore - there were so many Pied and Cyprus wheatears to be seen during the week. It reached a situation that I didn't even stop the car on some occasions to find out which species it was that had crossed the road. 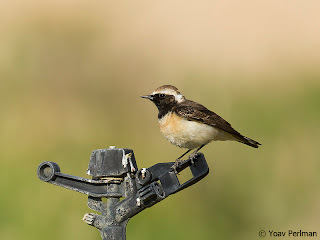 The brightest start was the Basalt Wheatear at Uvda Valley. It was there today, already 10 days on site. 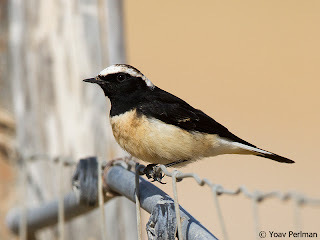 Another long-staying star is this fine vittata Pied Whetear - still there today. Amazingly, we had three records of this form this week. Many thanks to the Festival team and organizers - Dan, Jonathan, Itai, Noam, Assaf, Meidad, Yuval and others. Thanks to the mutual effort of all I had a great week. Also many thanks to our special guests - Martin Garner, Laura Kammermeier and Neil Glenn (Birdwatching magazine). Looking forward to read about their impressions of their first visits to Israel.